New rack and pinion unit. It has a 15.5’ E.T.E mounting spacing. 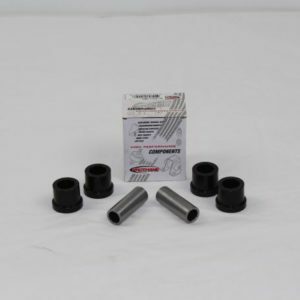 2 adapter fittings for lines are included along with bushings and sleeves. The effective operating pressure of these racks are 1,000 to 1,100 P.S.I. We recommend the use of a Ford rack style pump. The G.M. Type II pump works quite effectively too but it may require a restricting valve due to varying operator tolerance of sensitivity.